There is no way to discuss small business marketing in the modern world without mentioning first inbound marketing, which incorporates social media marketing. Inbound marketing is almost opposite to what can be seen as traditional marketing. In traditional (outbound) marketing messages, businesses would send the messages out to their readers. This could be in the form of pamphlets, TV or radio advertisements, even Google Adwords. It is based on providing messages with marketing-heavy content which, for its budget and limited time, rarely included anything entertaining or educating. Even more, outbound marketing means that the communication is top-down, from the company to the customer, and it is almost impossible for the communication to flow up. For example, although you may laugh at or scream at a TV advertisement, the company will not be able to hear you. There certainly is feedback when it comes to controversial advertisement, when the audience gets on Twitter and other social media to protest, but that happens only in rare cases and generally shouldn’t be part of your marketing plan. The new type of marketing, inbound marketing, works quite differently. Instead of putting the messages out there, you create the messages here (on your blog or website) and bring customers in. What this means is that the marketing-heavy language is greatly reduced or, in most cases, completely abandoned. What this also means is that communication is much faster (based on the comments or social media interaction) and there’s lots of room for the business to build up a strong community with their customers and visitors. Inbound marketing then is about the long game, not the quick turnaround. With traditional marketing, your advertisement campaigns generally bring in value in a few days, weeks or sometimes months. With inbound marketing it is usually at least a month or two before you start to see customers going through the all necessary steps: Visit, enjoy the content, build up trust with the business, enjoy more content, subscribe, and then buy the product or service. What this also means is that a lot of your visitors will not turn into customers. However, if you have a large amount of visitors, then that means the overall actual number of customers will be quite large, even though the percentage is small. There is one other way in which inbound marketing is generally better than traditional marketing: inbound costs you nothing. Besides hosting and other background fees you have to pay, it is pretty much free for you to create valuable content. It will take your time, yes, but with great content at the right time, you can bring in many more visitors than you could’ve brought in otherwise. However, there’s a good way and a bad way to create content. The bad way generally comes in two forms: clickbait content and inauthentic content. Very simply, a bad way to do inbound marketing is by trying to go viral without providing any quality content, or providing great content but to the wrong audience. For example, you can have a clickbait title, such as “I didn’t believe it until I actually saw it. How could Justin Bieber do THAT to HER? ?” or something like that. It definitely draws a certain kind of crowd in, and you will probably get lots of visitors. However, if your business sells bathroom tiles, there really is no connection at all to your main business. Therefore, your inbound marketing goals must line up with your intended audience, and you should provide actual content. Another way that many businesses are failing in inbound marketing is by creating unbelievable (literally, not believable) content for which they have no experience or authority. For example, if you sell office furniture, you can generally tackle topics related to business in a broader sense. If you create a post entitled, “How to Get Your Company to $5 million Revenue in 1 Year,” you’ll get lots of clicks. However, if your business is going bankrupt, or you only make $100,000 a year in revenue, what is this content based on? Now you’re guilty of creating content that you think others would like to read, rather than creating content that you are actually knowledgeable about. Anytime anything can be proven to work well (content marketing), it will be bombarded by low-quality imitators because people always seek to do the fastest, easiest thing, even if it is ineffective. This will decrease your reputation and is a sign of bad inbound marketing. If you take a look around at the internet, at all the companies that also have blogs, you’ll see this method is prevalent. The reason is simple: anytime anything can be proven to work well (content marketing), it will be bombarded by low-quality imitators, because people always seek to do the fastest, easiest thing, even if it is largely ineffective. So, today we’ll focus on utilizing great inbound marketing practices to create great content and increase your reputation. Anytime you’re going to do anything that will take up a lot of your time, you should be creating a plan for it. Of course, it goes without saying that your website should reflect the quality of the products or services being offered. This could be difficult to do by yourself, but there are many services that offer web designs for small businesses at reasonable prices. A website with archaic design and horrible infrastructure has no place in the modern marketing world. With inbound marketing, you want to create valuable content to, not drive traffic, but provide valuable, shareable information that your visitors will love. In this way, it is better to get 100 qualified (i.e., they are highly likely to buy your product), engaged visitors than 1000 unengaged, uninterested visitors who will leave your site as quickly as they came. They offer no value to your core business other than vanity points for your website statistics. 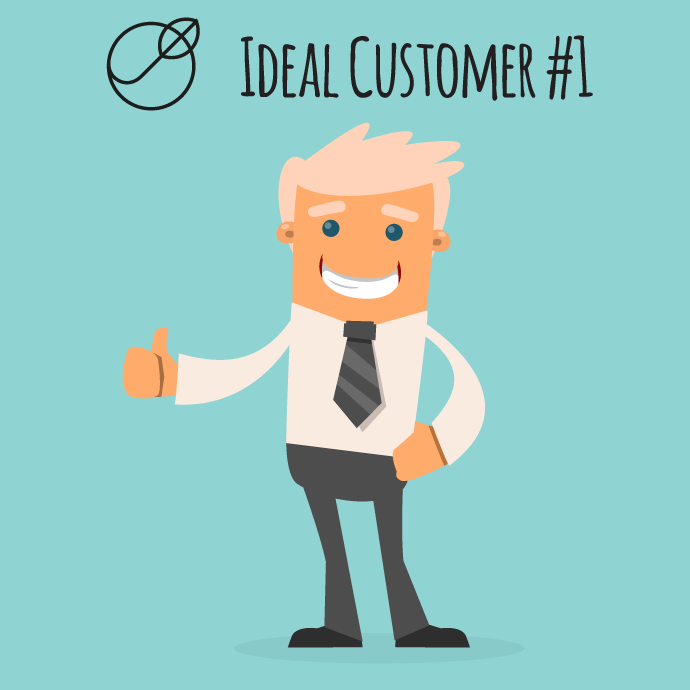 When you are creating content, you need first to create your ideal customer avatar (ICA). This is the person who will mostly likely buy your product or service, and the one whose questions you should answer primarily. If you sell office furniture, then you might want to create content based on the questions that most of your current customers ask or have asked. If you provide homeschooling consultation, all your content should be based on homeschooling, or at a stretch, children’s education. That way, you can keep away from clickbait Justin Bieber articles and instead provide real value that your visitors will love. You see, because of the prevalence mentioned above of low-quality articles on the internet, people are still starved for a great source for topic X. If you can fill that void, you will create loyal visitors who will become loyal customers. Finding topics to write about will either be based on your experience with your niche, the most followed questions on Quora, the most-discussed topics on forums, or what people generally discuss in social media groups or on sites you visit often. If you do it well enough, you’ll see a response in a few weeks or even less time. With that response and a proper content strategy, you won’t even need to spend any advertising dollars. If you can create that great content based on real need, you’re in a great position already. Now you need to make sure that people will actually see it. We’ve mentioned before what type of platforms will be perfect for your business (we even created a free ebook about it), and the social media tools to manage them, so we won’t rehash it in full now. Suffice it to say that you need to be on Facebook at minimum no matter what your business is. Then, if you are geared more towards women issues, mothers and the like, then focus on a Pinterest for business page. For fashion and young topics you’ll find Instagram rewarding, and you can use LinkedIn if you do B2B. If you are swamped for time, focus on just Facebook at the beginning and then gravitate towards other social media channels when you get more comfortable with Facebook. Settling on a platform is one thing, but you’ll still need to make sure people click on it. This is where you’ll need to create attractive (not clickbait) headlines and visuals to draw in your customers. You’ll find a lot of social media is now visual, and the more you can use visuals in your content, the more attention you will gain. This can be in the form of screenshots, helpful infographics, gifs, memes and even video (which Facebook is really pushing nowadays). In fact, most content on Facebook is simply images and video. Luckily, you can turn a popular blog post into a video or infographic to really boost your social media presence. Also be sure to respond to people’s comments and questions on your posts. 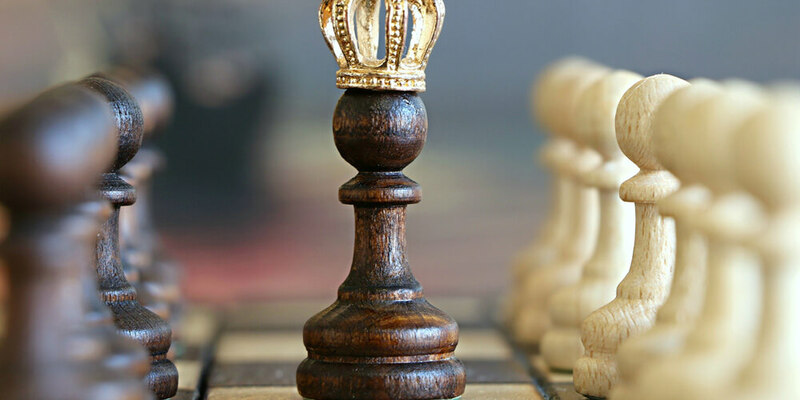 This will increase engagement and, with Facebook’s algorithm the way it is, increase the organic reach of the post, meaning more people will be able to see it. So, you’ve got your strategy and created your catchy (but highly valuable) content. Now what? Getting the visitors on the website is only the first step in this process. Now comes the important part—you need to convert those one-time visitors into subscribers with a lead magnet. A lead magnet is simply a resource your ICA wants, and they have to subscribe to your list in order to get it. This is the sure-fire way to increase your sales (because, as the marketers often say: the money’s in the list). Now, most people simply have a form at the bottom or side of the page to get people to sign up for a newsletter and stay updated on the site. Although this is fine, it isn’t really attractive. The best bet is to create a resource that your qualified visitors would actually want. This lead magnet could be anything—an ebook or pdf of valuable information. However, the only way for them to get that is to sign up and get the download link. This should be a separate page that is dedicated solely to one goal (here, capturing emails), in the form of a landing page. You can link to your landing page from your content. You can even create ads or provide a link to the landing page from your Facebook page. As you get more involved and create more campaigns, you’ll be able to segment your audience and create different types of landing pages for different audiences. That means you can send more targeted emails which will increase the sales potential. This is an important part, and where patience and restraint will give you a higher return on investment (ROI) than simply jumping the gun. Many small businesses, once they get some subscribers, start blasting marketing, salesy messages on a non-stop loop, yelling at them to buy their products. This will turn away your customers, obviously. What you need to do now is still play the long game. Instead of sending out sales emails or newsletters to your subscribers, you need to nurture them into buyers. This is what’s known as an email nurturing campaign. You see, not everyone is ready yet to buy from you. You need to play the seduction game, the one where you show off all enough of your goods (in a professional manner) to entice them to want to buy from you. This is best done by presenting your best free content for them to visit. If you’ve got Step 1 covered (creating great content for your ICA), you’ll likely have a list of your most popular work. The best thing to do now is to give your subscribers the most important topics that will provide them the greatest value, and continue to do so on a dependable basis. You can even present a fantastic, new post that you’re quite proud of and ask for feedback from your subscribers. Your step now, then, is not to sell to your list, but to educate them first. Of course, your “curriculum” is pointed towards your products, but in subtle ways. Give them the most important topics that will provide value to them, and continue to do so on a dependable basis. They will want to open up your emails, to read your thoughts. They will want to add comments and share your posts. And they will, eventually, want to buy from you, leave great feedback, and tell their friends or colleagues about your services. If you build it, they will come (and buy from you). That will improve your ROI dramatically, but again, you’ll need to have the patience for that. That word above is key: patience. Inbound marketing is about patiently building up your reputation, the quality of your site and information, and your subscribers so that they will buy from you in the long run. Although it is a patient method, it is still a method based on a major goal: increased sales through increased leads. You don’t want to provide such great content that no one will need to buy anything from you because you’ve given it all away for free. No. Give just enough to entice them, then offer the rest for a price (in a smooth, subtle way). This is inbound marketing. That way you don’t have to spend money on potentially good, potentially bad leads. You put up the sign and let the qualified leads come to you. Inbound marketing really is the present and future of marketing in general. It’s been shown to double conversion rates from 6 to 12 percent, mostly because it is effective. People want answers, you provide them, and later they buy from you because they trust you. If you haven’t started on inbound marketing yet, or you’ve only inconsistently done it, now is the time to really go back to Step 1 and create that fantastic, ICA-directed strategy. Then go through these steps we’ve listed and really work on creating the best content, the best social media strategy, the best landing pages, and the best email nurturing strategy to really boost your sales. If you have an inbound marketing strategy, we’d love to hear about it. Did I miss anything important? Let us know in the comments below, or just say hi. We love to hear from people!